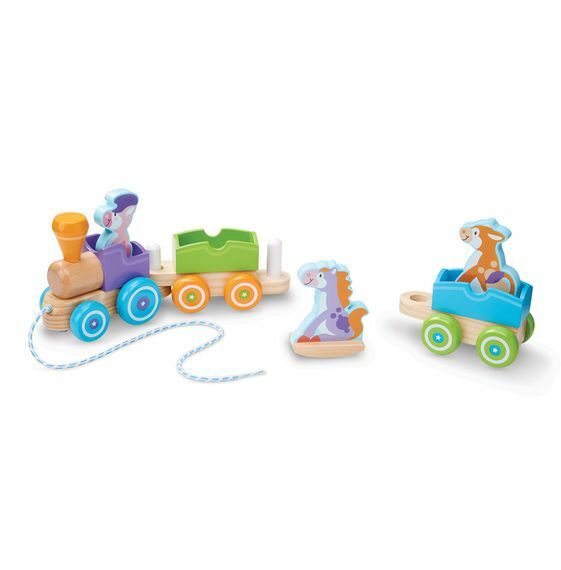 Kids will have a rockin' good time with this adorable 6-piece wooden linking pull train with rocking farm animal passengers! 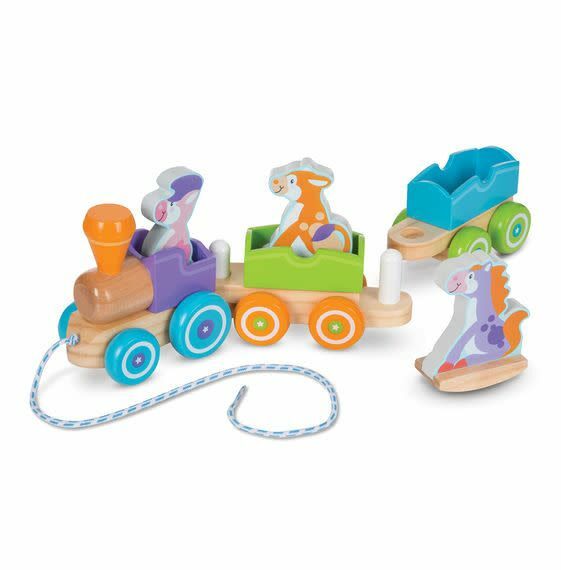 The three 4.5-inch to 5.5-inch farm animal play pieces (pig, cow, and horse) have art on both sides, fit snuggly in the train cars, are easy to grasp, and also stand up and rock on curved bases. Babies and toddlers 18 months and older will delight in taking these engaging characters on the move while developing fine and gross motor skills. First Play toys feature bright colours, bold patterns, and whimsical designs that boost skills while sparking imagination and wonder - right from the start!